The hotel complex is conveniently located 5 minutes from the Sunny Beach resort centre and at the same time some 100 m away from the beach. Plenty of entertainment possibilities- bars and restaurants are near the hotel. Links to the public transport network are roughly 150 m from the club resort. The bus station is at a distance of approximately 1 km and the train station is about 35 km away. 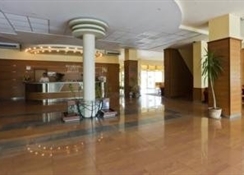 Burgas Airport is 30 km away and Varna Airport is some 100 km away.This all-inclusive complex comprises three hotels. 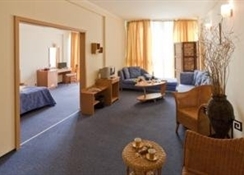 Renovated in 2010- the excellent hotel offers a perfect combination of elegance- comfort- and numerous facilities. 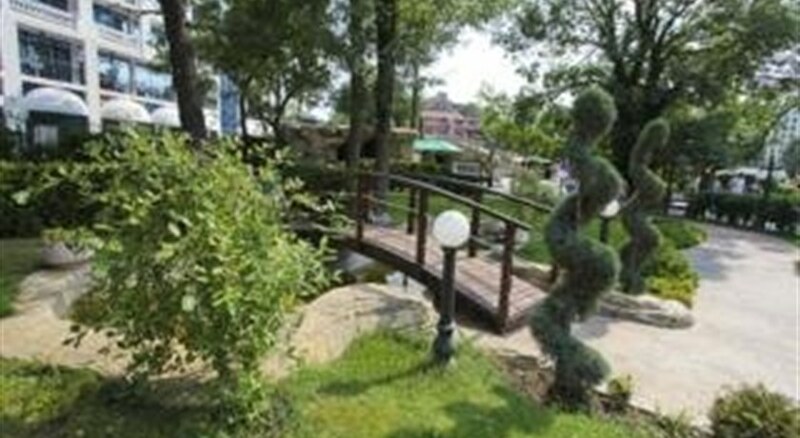 It is surrounded by a lovely garden- flowers and pine trees. The hotel facilities include 3 main restaurants- 3 lobby bars- a pizzeria- a snack bar with a lunch buffet- a children's playground- a kids' club (4 - 12 years) and a doctor. In addition- a hairdresser- currency exchange desk- safe deposit boxes (local charge applies) and an Internet corner (charges apply) are provided. The air-conditioned property comprises a total of 450 guest rooms and also features a lobby with a 24-hour reception- lift access- an auditorium and a laundry service (for a fee). 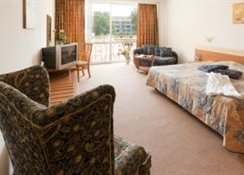 Business guests are sure to appreciate the conference facilities.All hotel rooms and apartments are extremely stylish- fully fitted and fashionably furnished- featuring air conditioning- a terrace or balcony- direct dial telephone- cable TV and a minibar. The en suite bathrooms are fitted with a shower and a hairdryer. A double bed and a safe also feature as standard.